I created Teach Kids English along with Naomi Simmons. It offers online teaching lessons for young children. teachkidsenglish.com is written by Naomi Simmons, the world’s best selling author of courses to teach English to young children. Her English courses have sold over 300 million copies and are used in primary schools and kindergartens worldwide. The animations and site design is by Charlie Anne Turner, well known for producing colourful and motivating educational materials. Your children learn both the words and English grammar they need to communicate effectively. 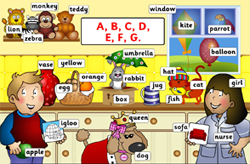 Children learn English with stories, songs and exciting word games. The online course offers a carefully sequenced progression. 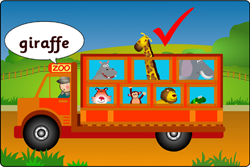 Over 170 fun, interactive English language lessons.